 Mike Stephens organiser of The Acoustic Festival of Britain spoke to eFestivals. How did you get the idea for the Acoustic Festival? I've been involved in festivals since 1987 was the first year for the four we had. My little festivals in Wales got bigger and bigger, and they eventually got involved with Heineken for sponsorship, and after that I got involved with the huge Heineken festivals in the nineties in Preston, Leeds, Nottingham, Brighton, Portsmouth, they were quite well known big events. We did the one in Plymouth, and then after that one my company did three other festivals for Plymouth Council called Soundwaves. That's when I started with Muse, I gave them their first ever festival local gig (Plymouth Hoe - 1997). Then when the Heineken Festival got really too big, there was 75,000 people a day at Leeds in 1995, they lost their sponsorship. So I started doing Soundwaves, and I helped with GuilFest, Guildford Festival of Folk and Blues with Tony Scott. Really that took my time for the next four or five, but again it really got too big from 2002 onwards, and I thought the Acoustic Stage which we had at the top was nice, and I got Peter Green to play at the time. It had a really nice, intimate atmosphere there, so I took the Acoustic Stage idea, and developed it into the Acoustic Festival. We've been going for six years, we were in Nantwich for two years, the Lichfield area for a few years, and now we're in Uttoxeter. This is our second year there, and it looks as though it's going to be our home for good now. It's a great site, in those previous years we had to endure the rains and the floods, as everyone else did, and now we've come to the best solution. The racecourse doesn't get flooded, there is no mud, and there's no way some of the problems we have experienced can happen now, which is quite good. Who have you been most proud of booking for the festival over the years? I'm just proud that I'm turning all the old rock stars into acoustic artists for the last few years of my life. On the first year I was doing quite a lot with The Stranglers, I was a former agent of theirs, and I got Jean-Jacques Burnel and the boys to come and do an acoustic set for the first time ever, in 1996 in Nantwich. There was me, trying to tell all the older Grandparents in the audience to get off their deck chairs because we had Stranglers crowds coming in, and it could get a bit rocky, and nobody moved. Then JJ came in, and the boys came in sat on their stools and started playing, and bit by bit the band came in. Jet Black was just playing with his brushes, and Dave was off his keyboard and doing his harmonica, and it was really nice, and there was no hassle. It was a great sit down vibe, and at the very end of the concert, all these old spinsters came up and said to me, "they weren't punk, we knew them songs like 'Golden Brown'" and that's the whole idea of it, that's what it's all about. What's been the most difficult hurdle with putting it on each year? Each year is different because you get different hurdles, two year's ago was a nightmare for me was putting Roger Hodgson of Supertramp on. His management people were unbelievable, they cost me a fortune, it was horrible I don't want to go through that again. But every year is different, the main thing is you've got to pay everything up front, people don't realise how much it costs to put these things on, and it's very, very, very scary. Especially the way things are going nowadays, with great big festivals taking a huge chunk of the apple, with very powerful sales media, and half of them are owned by the ticket agents. It's very difficult to be up against them, and a lovely little festival like ours, with about 4,500 people is up against the big boys, it's very difficult. Another hurdle this year was moving away from the Bank Holiday at the end of May, we had to move forward to the week before which was horrible for us. We missed that holiday vibe, and having people coming who are off work. It's also exam time, and teachers are hard at work, and there's no students around but these are hurdles you have to get over all the time. And, what gives you the most satisfaction putting it on each year? Getting the people there, and seeing that every single person has a smiley face. There are no complaints, and everyone goes aways saying, "This is fantastic, I wish I'd known about this earlier." And as long as the bank balance hasn't gone too far into the red at the end of the day, it's all about people being happy. Sometimes you'd like more people to be there, but that's the nature of the business. How are ticket sales going this year? They're very good at the moment, we're up on last year, which is great, and if keeps doing that every year, we'll be on a winner. I think we'll do very, very well this year. Do you think the recession has dampened the demand for tickets this year for festivals in general? I think what's happened this year is all the grants paid to festivals. We've never had a grant, or a payment, or sponsorship from anyone, so it doesn't affect us, but there have been hundreds of festivals this year that have been affected by arts, and Council grants and sponsorship being withdrawn. A lot of those festivals were local authority sponsored, but a lot of those weren't sustainable anyway they were going on through false means. When they've got to have all this money given to them, hand over fist, then really there's something wrong. A little festival like ours has a budget, and we spend that budget, and put it on for that budget, and it all gets put back in. We don't rely on hand outs, and that's the only way forward now, because it isn't going to get any better. What advice would you offer to new festival organisers? Oh gosh! I don't know what I would do nowadays. You've got to have a lot of money up front, and a very good reputation for people to be able to trust you. You've got to pay everything upfront these days, and that's the thing, and if you haven't got that track record then it's uphill struggle all the way. All you need is one bad weekend and... I know I've been there. I've lot my house in the past. I mortgaged my house and lost it, twice. It happens you just have to get over it, and if you haven't got that resource behind you then it's very, very difficult. And what advice would you offer someone coming to the Acoustic Festival for the first time? Take your camera, because it's great. You'll see all your punk favourites, your rock favourites, your bluesers, all mixed in together doing an 'MTV Unplugged' style performance. People like poor old Martin Turner from Wishbone Ash thinking, "How the hell are we going to do an unplugged performance?" But we talk it through, we don't want to see a normal performance, we don't have any amplifiers on stage. "But with two twin guitars going at it, we're not going to get the kind of sound we usually do." And I say, "Well, that's it you're not supposed to. You're supposed to get an unplugged kind of version." A nice laid back sound, and nine times out of ten, the singers - the Nik Kershaw's and Steve Harley's of the world, are up there telling you about the songs and where they come from, why they wrote them, which is just as interesting as the song itself. You get an insight into the song which is great, and you get to see how a good a musicians these people really are. For instance Nik Kershaw, what a fabulous funky jazz and blues guitarist, it's wonderful. The Acoustic Festival of Britain takes place from Friday 20th until Sunday 22nd May at Uttoxeter Racecourse, in Staffordshire. Hayseed Dixie, and Cerys Matthews have been announced as Friday night headliners, with Fairport Convention, and Quill announced for Sunday, other confirmed acts include Sheelanagig, Martin Turner's Wishbone Ash, Strawbs, The Quireboys, Hazel O'Connor & The Bluja Project, The Acoustic Beatles, The Re-entrants, and more. For the line-up details as available please click click here. Tickets are on sale priced at £90 including camping (or £75 without camping), child weekend camping tickets for those aged 10 - 15 years are priced at £20 or £10 without camping. All children must be accompanied by an adult. Day tickets will be available at a later date.